← So long summer, it was real. This camper’s delight comes from Alite Designs, a San Francisco based company. 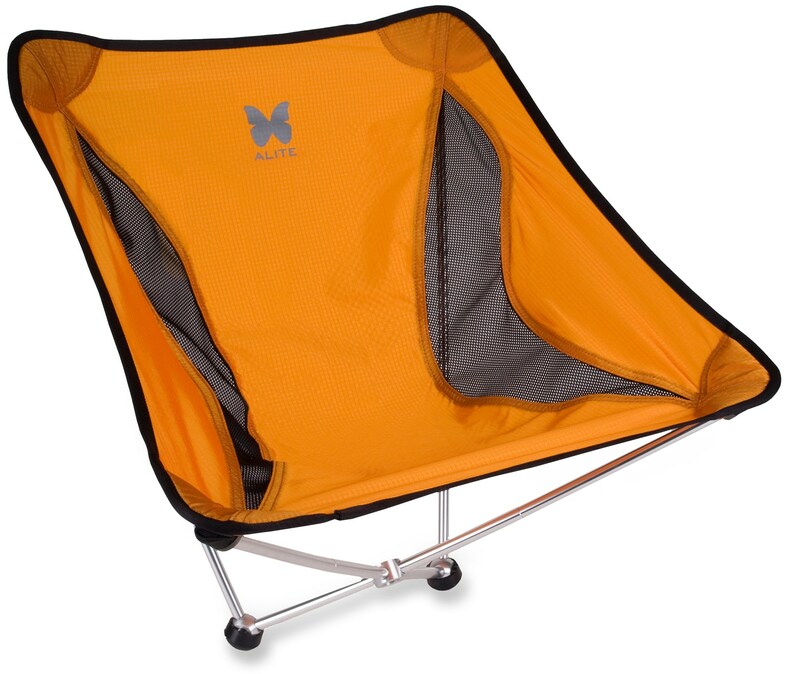 The Monarch Butterfly chair is light weight, at 18 oz. and packs into a 4.5 x 13 in. stuff sack. Expanding on the aluminum pole design, seen in most new tents, set up is quick and easy. The chair is made with nylon fabric and mesh side panels for breathability. despite its nimble weight, it’s capacity is rated to 250 lbs, even your bigger buddies can use it. The 2 rubber feet can be a balancing act (pun intended), but with practice can become quite relaxing. So prop your feet up and enjoy the campfire all year long! This entry was posted in Gifts, Outdoors and tagged alite, camping, chairs, rei. Bookmark the permalink.